POWERSMART is a product for everyone. 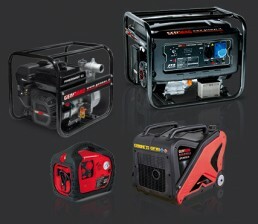 The Genmac POWERSMART range includes various types of products such as small portable electric gasoline generators, inverter generators, water pumps, emergency kit, characterised by easy use and low cost. 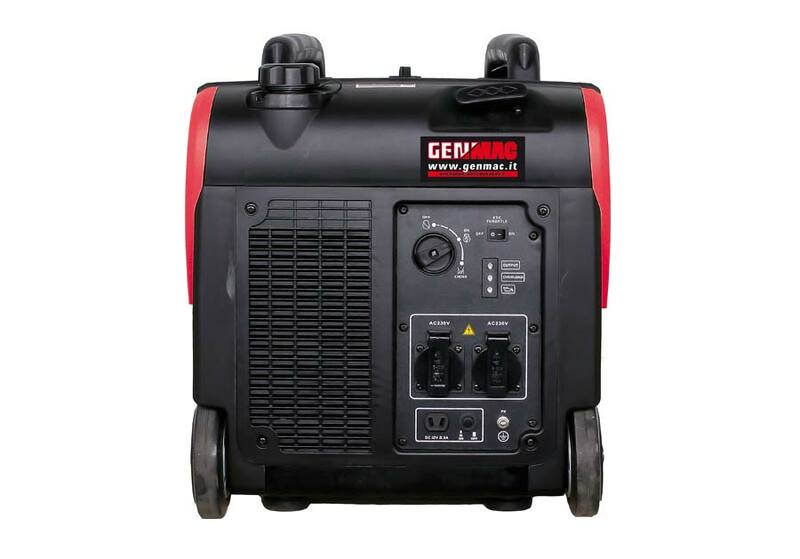 Designed for anyone who needs to perform maintenance, for the garden, to equip your home with machinery useful in case of emergencies such as blackouts or floods, but at the same time not too bulky and which does not require a large investment. 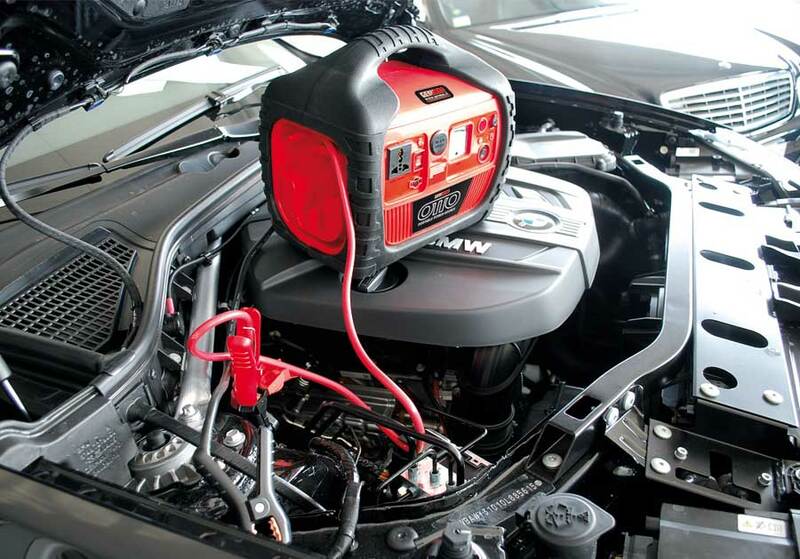 Powersmart is a line of products that meets the needs of the whole family; at home, at work, in the car, and in the free time. 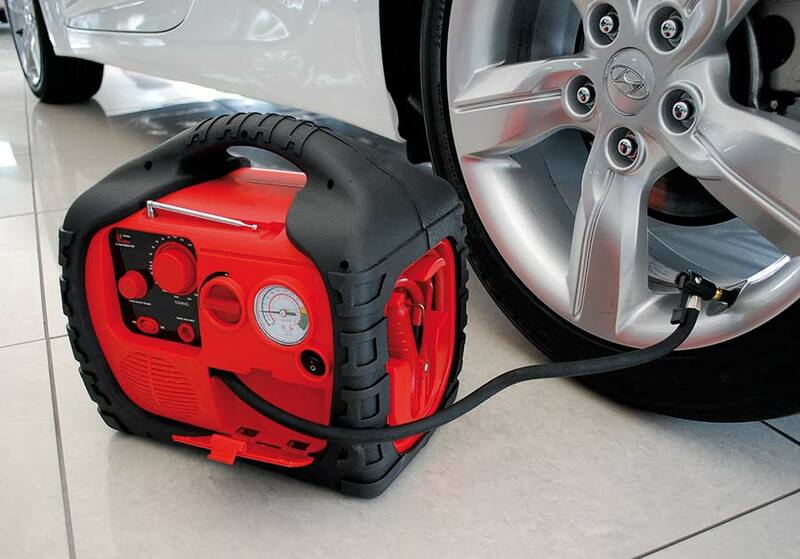 For those on-the-go, who want to be efficient without giving up anything. 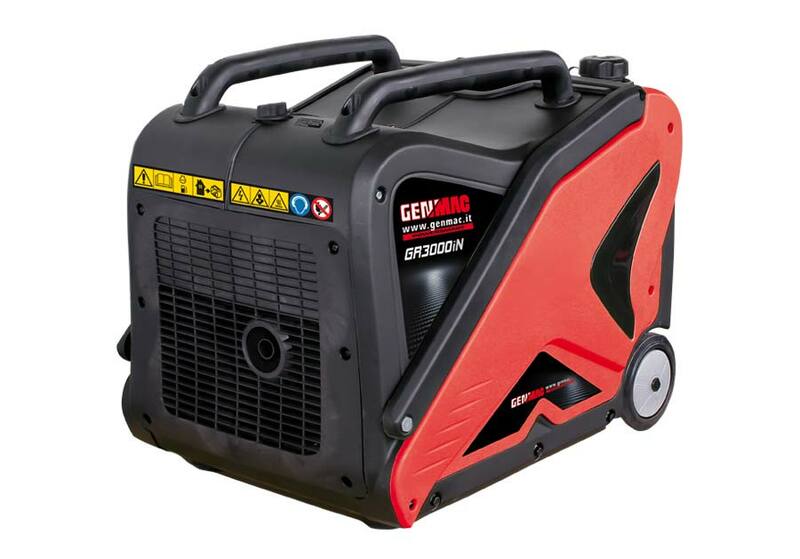 Portable power generators, open from 2kW to 6kW with 4-stroke 3000 RPM gasoline engine, equipped with large fuel tank that allows long autonomy, alternator with voltage stabiliser (AVR) and copper windings. 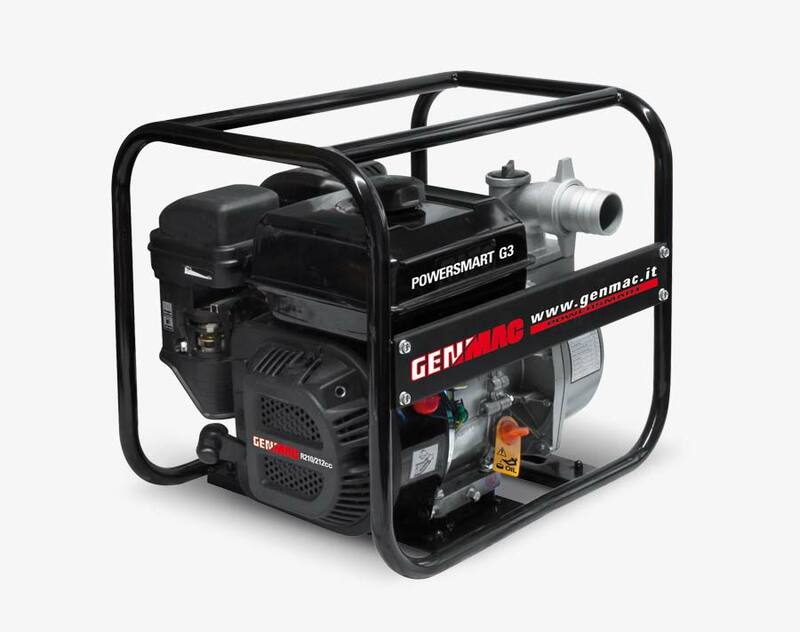 Genmac generators are ideal for the house, for anyone who has to power market lights, for performing maintenance where grid is not available. 6kW portable generating sets with 4-stroke 3000 RPM gasoline engine, equipped with large fuel tank that allows long autonomy, alternator with voltage stabiliser (AVR) and copper windings. 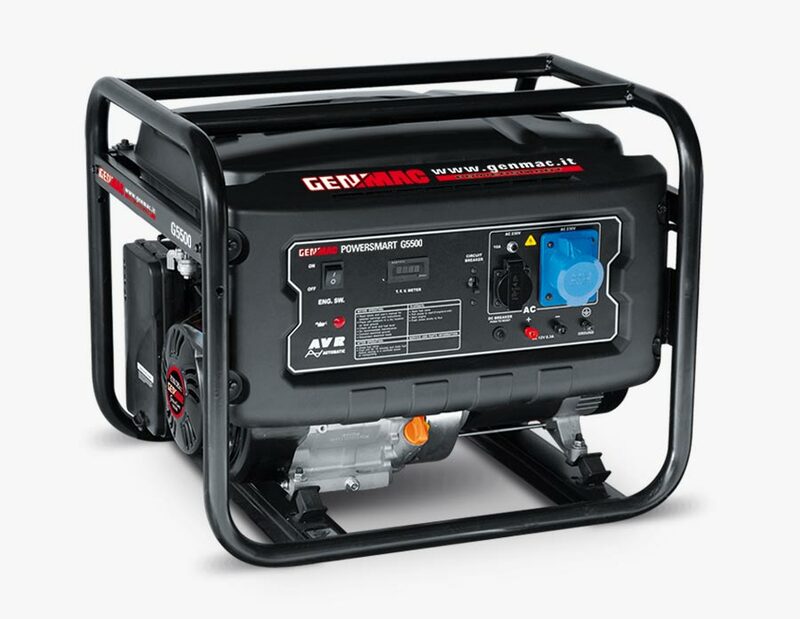 An automatic transfer switch integrated in the generating set starts automatically the generator in case of power failure and is very easy to install. 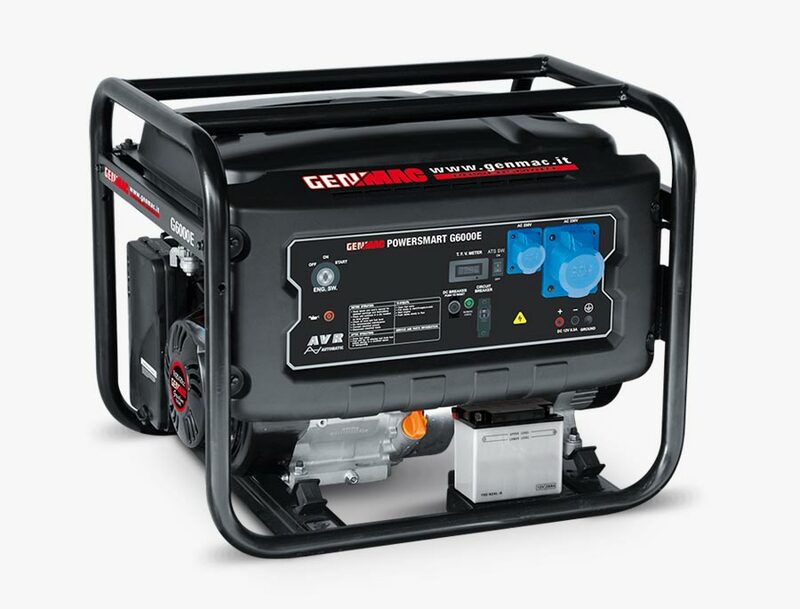 In the event of bad weather, snow, or technical problems on the power grid, it is best to equip your house with an emergency generator that automatically powers boilers, air conditioners, refrigerators, lights, electric gates, telephones, submersible pumps etc. 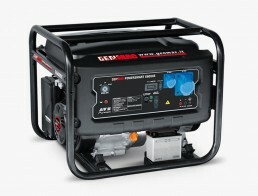 in case of blackout…ensuring safety and comfort to the whole family. 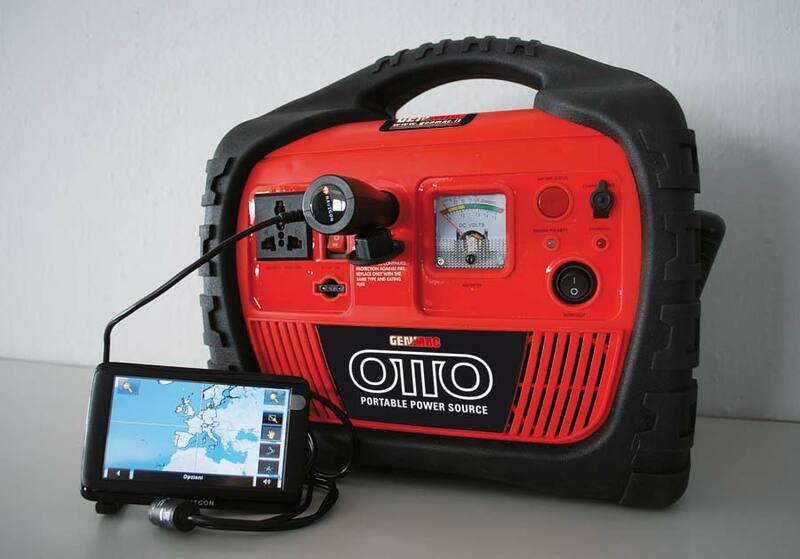 OTTO - Emergency Kit "8 in 1"The multifunctional case that saves you in every situation. 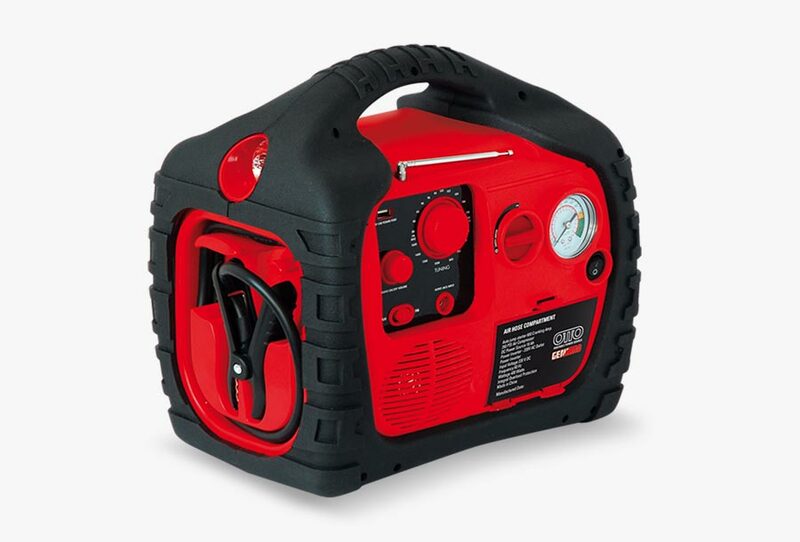 Emergency kit which is a case containing a 400W inverter generator, a compressor, an automobile jump starter, service light, jack audio and radio, a USB socket, and a 12V DC socket. 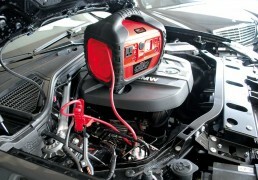 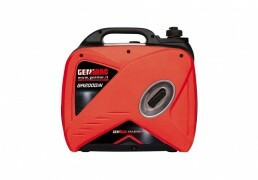 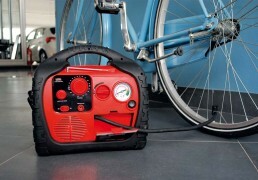 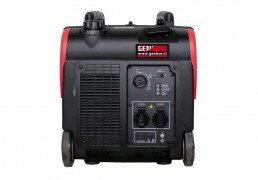 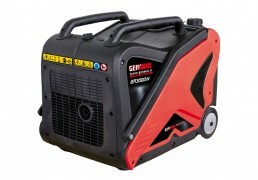 Ideal for anyone going on long car trips who may need a jump starter, a compressor to inflate tires, etc. Keep this kit in the garage to inflate bicycle wheels or balls or airbed (various reductions supplied), to have always a torch at your fingertips, and to bring it in the garden when doing maintenance or to listen to music while at a picnic. 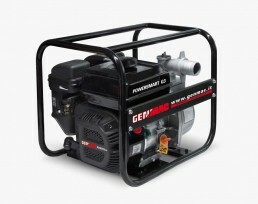 Super silent generators from 1kW to 3kW with Inverter technology, 4-stroke 3000 RPM gasoline engine. 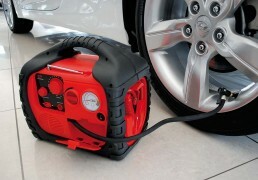 Inverter technology generates stabilised electricity with low distortion. 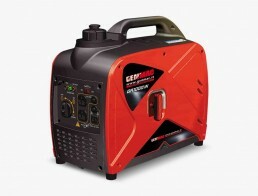 Ideal for powering electronics, computers, etc., allowing to vary engine speed according to the applied load, thus optimizing fuel consumption, gas exhaust emissions, noise and increasing generator life. 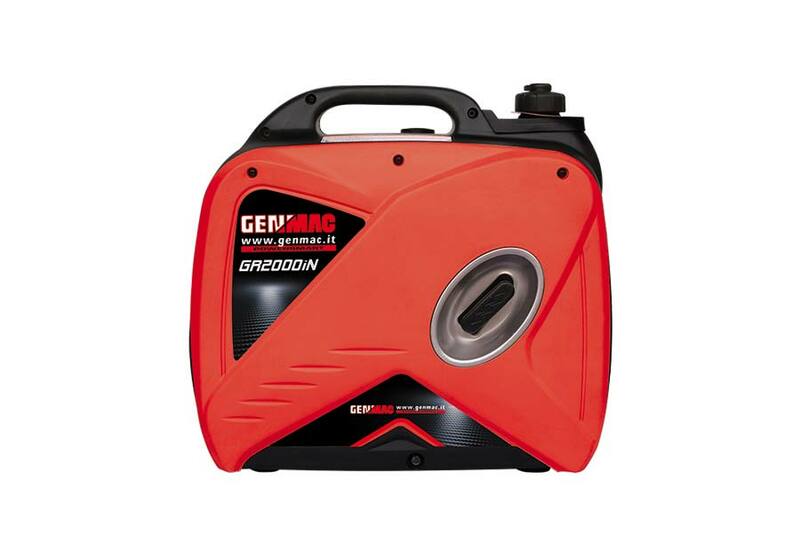 Compact and easy to handle water pump for clean water with 4-stroke gasoline engine, 1” 2” and 3” and a 2″ High Pressure model.